Building a pool is a fantastic investment for any property. Whether you choose to build a sporty lap look or a luxurious salt water pool, your new pool will provide you and your loved ones with endless recreational opportunities. After your pool installation near Salt Lake City , you will be responsible for the care and upkeep of your swimming pool. By learning about the essentials of swimming pool maintenance, you can keep your pool and surrounding deck in pristine condition, throughout the years and seasons. Read on for a closer look at some of the essentials of swimming pool maintenance. In order to keep your pool water clean , it is important to clean and skim your pool water a few times a week. To streamline your pool cleaning and skimming process, you may want to invest in a pool vacuum. This innovative device will automatically remove dirt, dust, and debris from your swimming pool water. When you are skimming your pool, it is also a good idea to take the time to clean out your swimming pool’s pump basket. Along with skimming your pool a few times a week, you will also need to check your pool chemicals on a regular basis. Pool water requires chlorine and other types of chemistry in order to remain fresh and sanitary. With a pool testing kit, you can check to make sure that the chemicals in your pool water are properly balanced. For example, your pool’s pH levels should be between 7.4 and 7.7. If your balance is off, you can adjust the pH by adding the proper chemicals. When you are designing your new pool, you will be able to construct the exterior of your swimming pool out of durable materials, such as tile and natural stone. It is important to inspect these exposed elements for signs of wear on a monthly basis. For example, if you have a tile pool, you will need to check to make sure that your tile grout is not deteriorating. Getting a pool installation done is a fantastic way to take advantage of your backyard. However, in order to properly maintain in ground pools near Salt Lake City, you need to fully understand how a swimming pool works . Watch this video to get a better sense of the different parts that help to keep a swimming pool operational. Knowing how the skimmer, pump, filter, and pool heater operate is essential for any pool owner. You don’t necessarily need to know every single detail about them, but you should have a general idea of what they each do and how they work together. This will help you to keep your pool clean once your pool installation is finished. It will make swimming pool maintenance much easier and allow you to enjoy your new addition instead of stressing out about it. Pool maintenance is something you are going to need to take care of if you have a pool in your backyard. However, if you don’t have the time to do it, you can sign up for swimming pool services in Salt Lake City. 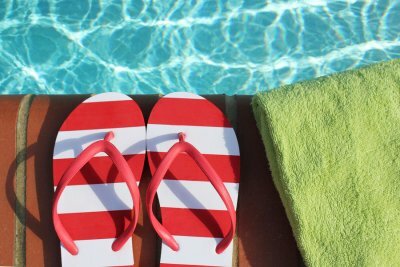 Here are a few of the things that a reputable pool service company should be able to do for you. This is the most basic service that any pool company should offer. Proper pool maintenance includes keeping water balanced and checking the levels of the pH, alkalinity, calcium hardness, dissolved solids, cyanuric acid, and temperature. When speaking with a pool company, make sure they have someone qualified to test these levels. Any time a pool is uncovered, it will be exposed to the elements. This means dirt, dust, leaves, sticks, and other debris will gather both on the water line and at the bottom of the pool. 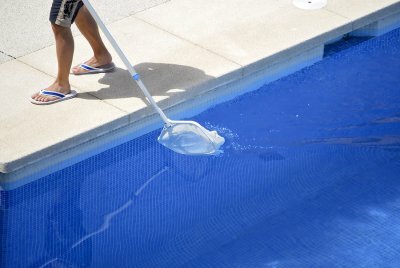 A pool company should have the proper equipment necessary to leave your pool looking spotless. You may not need your filter cleaned every time it is serviced if you don’t use your pool often. However, you will need to clean the filter routinely in order to keep it functioning at a high level. A pool service company should be familiar with your filter and should know how to care for it quickly. There are quite a few pieces of equipment that keep a pool running. From the pump to the timer, these items need to be checked on a regular basis to ensure they are working properly. A pool company should check these things when they visit your pool to provide swimming pool services and leave you with a status update. If you have noticed a certain problem with your pool—if, for example, the skimmer is not working like it should—a pool company should be able to tell you ways to maintain your pool. In the case of the skimmer problem, altering the height of the water in your pool might be your best bet. Tips like these will help you keep your pool clean and fully functional. Installing a swimming pool in your backyard is an excellent way to add some fun to your property, but you shouldn’t trust your pool installation to just anyone. Deep Blue Pool and Spas is an experienced pool contractor in Salt Lake City that knows how to get a pool built properly. In order to put in a pool, a contractor will begin by digging a hole for it in your backyard. Wall panels, supports, and plumbing and electrical work will then need to be done before the pool itself is added. After that, dirt will be poured around the pool and a pool deck will be built around it. At that point, a liner or pool tile can be installed to complete the process. When you work with Deep Blue Pool and Spas, your pool installation will get done correctly so that you can begin enjoying your pool right away.